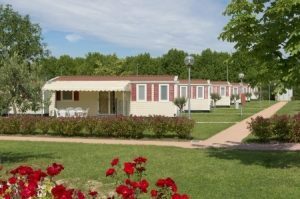 How Much Compensation For An Accident In A Caravan Park Site Holiday Camp? Caravan holidays are a popular element of the British summertime experience, and for good reason – you will be able enjoy a break in surroundings that are filled with entertainment for all of the family. Unfortunately however, sometimes accidents happen in these surroundings and if this accident has had a negative impact on your physical or mental health, you may be eligible to make a claim for financial recompense against the holiday camp or caravan park in question. This guide will talk you through this process, and let you know what you can expect from the experience. What is a holiday camp or caravan park accident? What to do if you are involved in an accident causing injury at a holiday camp or caravan park. How to begin a holiday camp or caravan park accident or injury claim. Holiday camp or caravan park accident at work claims. Holiday camp or caravan park slip, trip or fall claims. My child was involved in a car accident while we were on holiday at a caravan park – Can I claim compensation? I tripped in a pothole while on holiday in a caravan park – Do I have a claim for compensation? My child broke their arm while playing in a play area at a holiday park – Can I claim compensation? I suffered mild electric shock following faulty electrics in the caravan while on holiday – Do I have a claim for compensation? What Duty of Care do I have to prevent accidents myself at a holiday camp or caravan park? Popular holiday camps and caravan parks in the UK. What can be claimed for after an accident causing an injury at a caravan park or holiday camp? The most common types of holiday camp and caravan park injuries. Assessing the severity of a holiday camp or caravan park injury. How much compensation will I get after an accident causing injury at a holiday camp or caravan park? No-Win No-Fee holiday camp and caravan park accident claims. Why choose us as your claims service for a holiday camp or caravan park accident or injury? Call now for free advice and to start a claim. If you have experienced an injury on holiday, you will know how heart-breaking and painful the experience can be. Any holiday camp or caravan park has a responsibility to ensure that you are kept safe in order to enjoy your well-earned break, and any mishap that is not your fault – whether that be due to a gas or electrical fault leading to a caravan park injury claim, a slip, trip or fall, or even a vehicular accident – can sour your experience very quickly. If you feel that you may be entitled to a holiday compensation claim following an injury at a caravan or holiday park, call our holiday claims helpline on 0800 073 8804 and start the process with our friendly, professional team now. If you are involved in any kind of accident at a holiday camp or caravan site that could result in a compensation claim, including camping site accident claims, it is essential that you keep a log of everything that happened surrounding the incident. Keep a diary of the location of the incident, what caused it and why the responsibility for prevention falls to the owner of the site, or another guest or visitor. Ask any witnesses if they will be willing to confirm what they saw, and perhaps most importantly, inform the owners of the site immediately. Any claim that was not brought to the attention of the site being blamed will not be looked upon favourably. It is also vital that you seek immediate medical assistance, and keep a thorough log of what is discussed with your doctor or hospital consultant. This information will be pivotal to your claim, so ensure that you retain thorough records, sharing them with all relevant parties wherever applicable. To make a start on your injury on holiday claim, you just need to call our professional team on our free phone number, or begin your holiday claim online by using our live chat service and requesting a call-back. Ensure that you have all the pertinent information that relates to your accident, including dates, times, locations, witnesses and any action that the holiday camp or caravan park may have taken when notified of the incident, and we will discuss your potential claim in full with you. If we decide to take your case, which in a great many cases we will, we will take over from here – and we’ll need from you is to stay in touch so you can answer any questions we may have as we progress through the process. It is not only holidaymakers that can be injured whilst at a holiday camp, caravan park or campsite – employees have the right to complete their work without the risk of physical harm too. If you have been injured in such a setting whilst performing your daily duties, and the fault of the accident lies with negligence on behalf of your employer, you will be entitled to seek compensation. Report the incident to your employers at once and confirm that it has been recorded in an accident book, and seek the medical attention that you will need. We have a dedicated team that handle claims that revolve around workplace injuries, so just call us at your convenience or contact u on live chat to discuss what steps we can take to assist you. Regardless of whether your injury is the result of an electrical fault, automobile accident or a camping site injury claim, we are ready to ensure that you are treated fairly. Slips, trips and falls are among the most common claims raised against any public body, and the holiday camp or caravan park that you are entrusting to keep you safe during your holiday must do just that. You will have a claim if you have proof that any slip, trip or fall is a result of negligence on behalf of the owner of the site. If you fall down a flight of steps because they are wet and no signage was provided, for example, or a communal area of the site has been washed without adequate warning. Likewise, you may find yourself tripping over a foreign object that has no place being laid on the floor in a public area. If this is the case, note the details of the incident, report it to the owners of the site (and think carefully before accepting any compensation that they may offer you, such as a discount on a future holiday package – this may not reflect the true value of your injury), seek the medical attention that you need, and call us for advice as quickly as possible. Safety in a vehicle should be of paramount importance to anybody, and a holiday camp is no exception. If you have been involved in an automobile accident in such a setting, it will be treated every bit as seriously as if the collision took place on the motorway. As always, make a note of what happened and exchange details with the other driver, and notify the owners of the holiday park. You will need to ascertain if this is a private matter between yourself and the driver, or if the holiday site was to blame – due to substandard signage explaining the rules of the car park, for example, or insufficient space to allow for vehicles and caravans to manoeuvre safely. Whatever the outcome of this conversation, we are ready to help you claim back the compensation that you deserve. Injuries that stem from tripping over a pothole can sometimes be slightly more complicated than a traditional trip claim, as it will need to be ascertained who is responsible for the upkeep of the surface area. Will it be the holiday camp or caravan park, or the local council authority? This makes it more essential than ever that you report any injury related to such as incident immediately, and seek medical confirmation that injury occurred as a result. Local authorities will not issue compensation for any psychological or mental distress caused by such an incident unfortunately, focusing only on physical harm. However, if you have been unfortunate enough to trip on a pothole whilst on holiday and found that it has left you wounded and unable to enjoy the rest of your break, report this incident immediately – and if you require further advice upon your return home, do not hesitate to contact us on 0800 073 8804. Claims of this fashion are particularly time-sensitive, so do not delay. It is the responsibility of any play area, whether supervised by professionals or yourself and fellow parents, to provide a safe environment for children. All equipment contained within must meet legal safety standards, and while accidents will always happen in such a setting, they should never be more severe than a scraped knee or bruise caused by general childish exuberance. If your child has been seriously injured by some kind of negligence within the play area, you have every right to make a claim against the owner of the site. As always, you will need to prove that the injury was caused by this wilful neglect or substandard safety precautions, and that your child abided by all rules and regulations of the play area (including height restrictions and codes of conduct), but no child should be injured in the pursuit of holiday fun. You will more than likely have a case – provided the electric shock was not your fault. If you willingly tampered with an electrical appliance without first consulting the owner of the holiday park or caravan, this will impact negatively on your claim. If you can prove that a faulty appliance caused the shock, then call our team for advice as to how to proceed. Any electrical shock, no matter how mild, will be taken seriously – but also ensure that you notify the owner of the caravan. They may have a policy for compensation in such situations, and you may reach an agreeable package with them. Just bear in mind that if this is the case, you will not able to seek further compensation through the legal system. Caravan accident claims, in particular, revolve around an agreement that you will treat the caravan like your home. This means that you can expect all health and safety regulations to be met, but that you will also take the same due care and attention that you would if you were not on holiday. The burden of proof that a slip, trip or fall that led to injury, for example, is the responsibility of the site owner will fall on your shoulders, and likewise you will be unlikely to be successful in your claim if you attempt to move furniture or tamper with gas or electrical equipment without first seeking permission. Accidents and injuries at holiday camps and caravan parks are thankfully rare, which is why they remain such popular destinations for holidaymakers throughout the UK. Here is a selection of the most popular destinations in the country. Getting injured during your holiday can be a traumatic experience, so you may be eligible for a claim for emotional distress – as well as the pain and inconvenience that you may experience following the experience. It is not just the injured party that may be affected by an accident; a spouse, other family member of friend may need to act as a full-time carer in the immediate aftermath. This carer will be eligible to reclaim their lost earnings and expenses during this period. Obviously you may be unable to work while you recover from your accident, which may have an impact on your finances. Be sure to notify us of any earnings that you may have lost as a result of your accident, whether they relate to the immediate aftermath or any work that you may not be able to complete in the future as a result of the accident. If you are not eligible for home visits for your medical care in the aftermath of your accident, you may need to travel to a hospital or medical centre for treatment. Retain any receipts that pertain to taxi or train fares in this instance in order to add them to your complete compensation claim. You may find that you incur some costs for medical treatment following your accident, whether in form of medications, bandages and wound dressings or physical therapy appointments to get you back on your feet. Keep records and receipts relating to these expenses, as you will be eligible to reclaim them. Slips, trips and falls, whether they be on caravan steps or around the holiday park itself. Sub-standard maintenance of communal areas, including showers and toilets, are another example of a caravan park owner failing in their duty of care towards customers. Vehicle collisions in the car park and surrounding area. Bicycle accidents, including collisions and falls, around the holiday camp. Defective and faulty equipment within a caravan, usually electrical or gas-based in nature, poses the risk of shock or fire. The caravan park operator will be responsible for these facilities. Faulty hitching mechanisms are very dangerous, and be the fault of a caravan park – if you are injured while hitching a caravan to your car due to substandard equipment being provided, you may be eligible for a claim against the caravan park. Food contamination issues from on-site catering suppliers. It can sometimes be difficult to assess the full extent of an injury that you have suffered at a holiday camp or caravan park, which is why it is important that you seek the advice of a medical professional as soon as possible. Failing to act upon your accident in the immediate aftermath may jeopardise your compensation package, as you may unwittingly aggravate or exacerbate the wound. This is not a question that we can answer accurately until we have assessed your claim, at which point we able to offer advice on much holiday injury compensation you may be able to expect. However, this table may provide some kind of advice on how much compensation you may be able to expect from your holiday accident claim. Death (baseline) Fatal £12,500 - £300,000 Compensation for a death will be awarded somewhere in this region. Resulting in Paralysis Quadriplegia £271,430 to £337,700 A life expectancy of 25 years or more, but a loss of basic body movements resulting in the need for full-time care. Temporary Paralysis £41,250 A full recovery is eventually made. Head and Brain Injuries Very Severe Brain Damage £235,790 to £337,700 No fatality, but a permanent vegetative state requiring full-time care from another. Moderately Severe Brain Injury £183,150 to £235,790 Similar to the above, but with a little more mental capacity. Moderate Brain Damage £125,510 to £183,150 A change in personality, an inability to work, and impact on the five core senses. Minor Head or Brain Injury £1,840 to £10,870 Full recovery within a handful of days or weeks. Post-Traumatic Stress Disorder Severe £50,050 to £84,150 Permanent and incurable psychological effects of the accident, which leave the individual incapable of working and generally functioning at the level they enjoyed before the accident. Moderate £6,850 to £19,360 A recovery has been largely made, but short-term psychological effects were very disabling and some minor impact remains. Less Severe £3,300 to £6,850 Stress was evident, but a full recovery was made in under two years. Minor £2,050 to £6,600 A full recovery made in less than two years without the need for surgery, but problems were caused by the injury. Arm Injuries Severe £32,780 to £50,050 Permanent disability that leaves the individual unable to use the arm in question with any resembling full functionality. Minor £5,500 to £16,060 An uncomplicated fracture that heals fully. Leg Injuries Severe £45,840 to £70,700 An injury that leads to permanent disablement and the inability to use the leg(s) in question without walking aids. Minor £7,620 to £11,770 A clean break or fracture that, whilst uncomfortable and temporarily immobilising, heals fully. Just remember, is it impossible to give an exact quote for the compensation you can expect from your holiday injury without assessing your unique case first. Call us or contact our live chat to speak to one of our holiday claims solicitors for a clearer idea of what you may expect. If you have experienced accident or injury you have experienced enough trauma, and we have no interested in adding to this. There are no shocks or hidden fees with our no win, no free service; if we accept your claim we are confident that the ruling will go in your favour, and we simply deduct our costs from any compensation package that you are awarded. We have years of experience, and a friendly, professional team that will stop at nothing to get you the compensation that you deserve. We are transparent on any cost that may be incurred if your claim is successful, and we will work tirelessly to ensure that this is the case. It costs you nothing, and could lead to great rewards, to pick up the phone and starting the process of a claim with us no. Simply call 0800 073 8804 and allow us to start taking the information we need to build a case for you. Begin your holiday claim today! The NHS has a number of walk-in centres across the UK for minor injuries that do not require the attentions of A&E – this link will help you find the closest such clinic to your location. The Government’s official Health and Safety Executive lists the expectations that a caravan must abide by in terms of gas safety, for your protection. Slip Trip or Fall Claims – How Much Compensation Can I Claim? if you have had a slip trip or a fall on a caravan site find out if you can claim compensation contact our experts today for free legal advice. Holiday Accidents Abroad Can i Claim Compensation? If you have had a accident abroad you could claim compensation contact us to find out if you can make a no win no fee holiday accident claim.